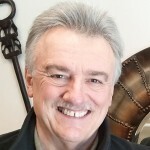 Robert Farmer is President of Concept Communiqués, Inc., a Marketing Communications Consultancy (conceptcommuniques.com). Our Energy Future is his blog on energy and climate change issues, and the platform for his work in Professional Marketing Communications for the On-Site Power Production Industry. He was a planning engineer with Bristol-Siddeley Engines/Rolls-Royce Gas Turbines Ltd. in the United Kingdom before moving to Canada and eventually the USA and has over 30 years direct engine sales and service management, power application engineering and energy consulting experience in North America. Working for Caterpillar and Waukesha dealers in Canada and the USA he managed engine service departments and sold engine systems for large-scale power generation applications, including combined heat and power (CHP); wastewater treatment plant, landfill, and wellhead gas applications; and ship service generators. He also has extensive experience in marine propulsion systems. For representative examples of his writing and marketing communications on engine-based systems, please visit the “Featured Applications” tab at the top of this page. From 2000-2011 he was president of Third Planet, a non-governmental organization (NGO), and accredited observer to the United Nations Framework Convention on Climate Change (UNFCCC). He is a member of the Climate and Energy Specialist Working Group (CESWG) of the World Conservation Union’s Commission on Environmental Law (IUCN CEL) and delivered a presentation for the CESWG to the World Summit on Sustainable Development (WSSD) in Johannesburg, South Africa in 2002. Other highlights have included serving on the Climate Change Advisory Committee of the Florida Energy Commission (2007); member of the Energy Advisory Committee of the Governor’s Commission for a Sustainable South Florida (1996-97); Future of Florida Assembly Participant (2000); consultant on Florida’s Energy Future—a report prepared for the Florida Department of Environmental Protection (2003); invited participant to the Reality Check First Coast Visioning Exercise (2009); member of the NE Florida Regional Community Institute’s Natural Resources Committee (2010) to prepare recommendations for regional leaders through 2060 based on the findings of Reality Check; and most recently, a full member of the NE Florida Regional Community Institute.